Microsoft always tries to provide additional features to its products to make it more efficient. So, the result is Outlook is also getting better! 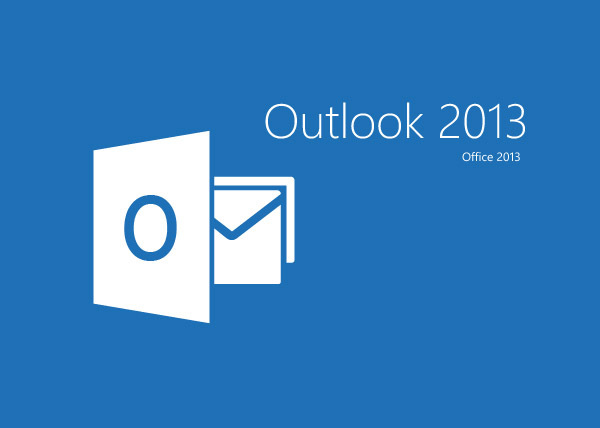 Outlook 2013 is ready to use and you can upgrade the latest version of the most widely used email client. The new changes are applied to Outlook 2013, Office 2013 and Office 365 ProPlus. 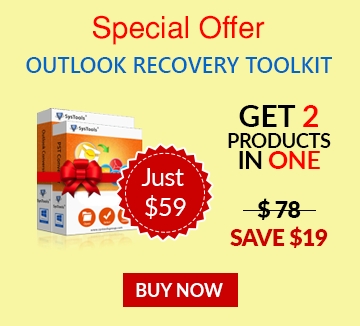 In this article you will find the advancement made in Outlook 2013. It will help you know about the benefits you can get from it. 1. New Design: In Outlook 2013 need to switch tabs is minimized. The new elegant design allows you to view the snapshots of your contacts, calendars and schedule within the inbox. Open Attachment Reminder dialog box. Click on Don't show this message again. Select Warn me when I send a message that may be missing an attachment. Note:-Only English version of Outlook supports this feature. 3. Exchange ActiveSync Exchange ActiveSync is a protocol which is designed to synchronize contacts, emails, calendar, notes and tasks from a messaging server to mobile devices. 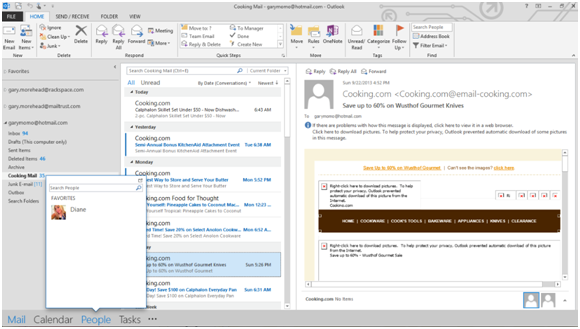 Outlook 2013 gets connected to the services like Outlook.com for accessing email, contacts, calendar and tasks. 4. Message Preview Traditionally, in Outlook only sender's name and subject line for each mail was visible. 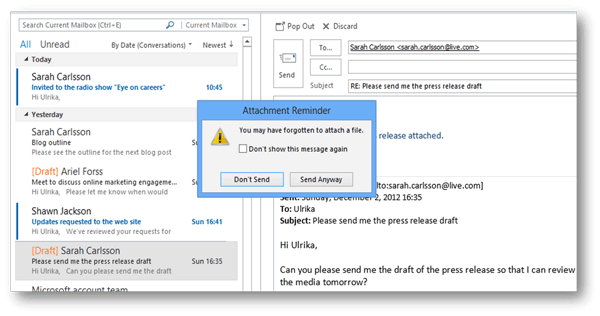 Outlook 2013 provides message preview option in which you can view two or three lines of the message body inside the inbox. It proves to be a great use in scanning the message without opening it. Earlier IMAP network operations occurred in the foreground. But now all IMAP network operations are held in the background. Existing mails can be viewed in the inbox quickly. It has become as fast as a cached Exchange mode. Similarly, if you choose another IMAP folder to view you can see the mails as fast as a cached Exchange mode user. When any new IMAP message is received, the users get notified. 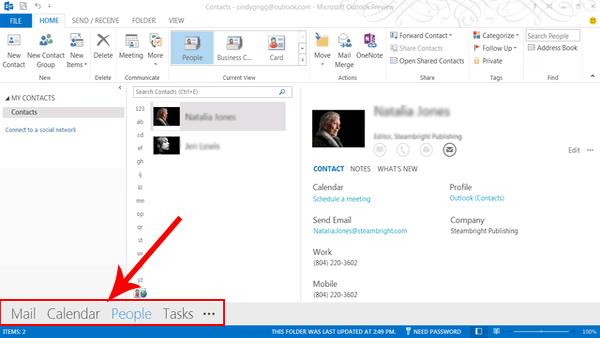 Some special Outlook folders like contacts, calendars, notes and tasks are not shifted to another system. Users can see This computer only text written with the folder. 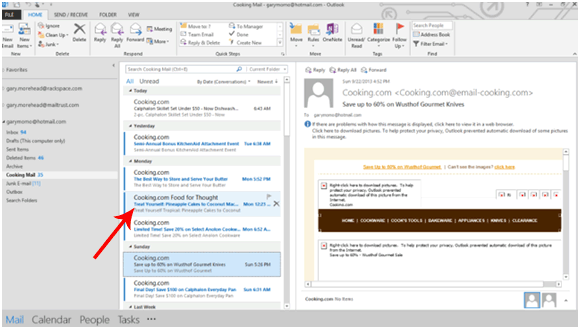 It is the default view of contact in Outlook 2013. 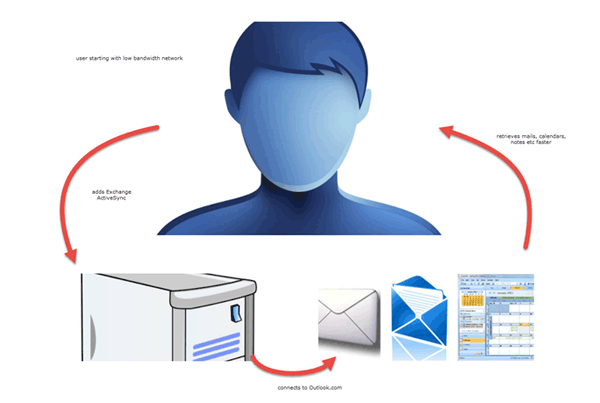 The people hub can include contacts from the social network of the user to the Outlook profile. Now the information about the person from multiple social network sources can be aggregated to the contact card. One can quickly see contact information and easily reach out to the contacts from the inbox. 7. Outlook Data File Compression (OST) In Outlook 2013, the OST file is up to 40% smaller than the OST files created in the previous versions. The compressed version of the Outlook data file is created by default in installing Outlook 2013. When Offline OST files are compressed the space on the disc is saved. Email messages from last 12 months will be cached. The messages which are dispatched from the local cache will also be seen at the end of the email list by scrolling down. User can decide how many messages to be kept offline. 9. Zoom Slider Depending on the resolution of the screen and format of, the text can be too large or small to be read properly. Outlook 2013 provides a marvelous feature ZOOM SLIDER which adjusts the level of zoom of the message you are viewing. This option is present at the preview pane in the lower right corner. Outlook 2013 for the first time provided the weather information bar. Weather information about the upcoming 3 days for the selected location is displayed. Weather information is provided on the calendar. The weather information can be changed on selecting the location from the drop down menu. Show weather on the calendar. Show temperature in: Celsius or Fahrenheit. Weather settings are saved according to the user profile. 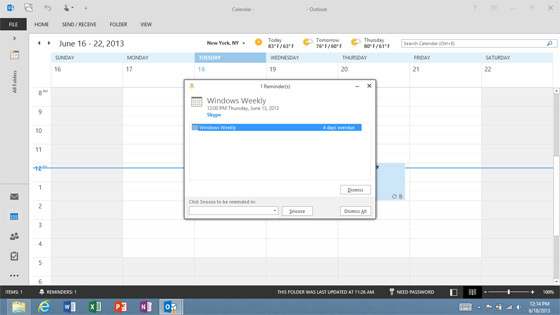 A calendar with the same user profile displays same location for weather information.